One of Australia's most important artists, Drysdale exhibited widely both in Australia and overseas, including the Venice Biennale of 1954. 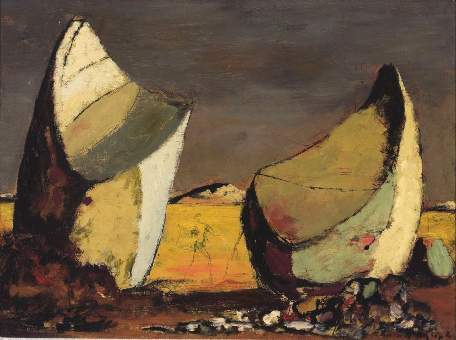 He was knighted for his services to Australian art in 1969. His art was shaped by his experience of the Australian landscape and he gained popular recognition for his depictions of the outback, especially images of the tragic consequences of drought-striken land in the 1940s. 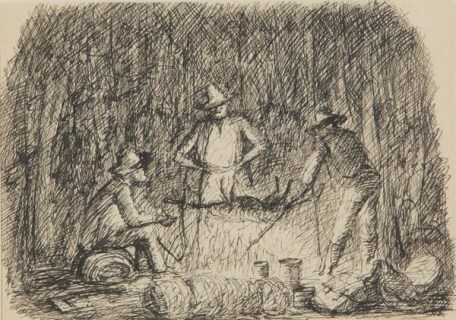 In the 1950s and 60s, Drysdale travelled widely across Northern and Western Australia with his wife and son. His images of the landscape inspired by such expeditions reveal the poetic and spiritual qualities which still influence the vision of outback Australia today. For audiences in Australia and abroad, Drysdale's paintings of the 1940s to the 1970s reflected the essence of Australia and its people.